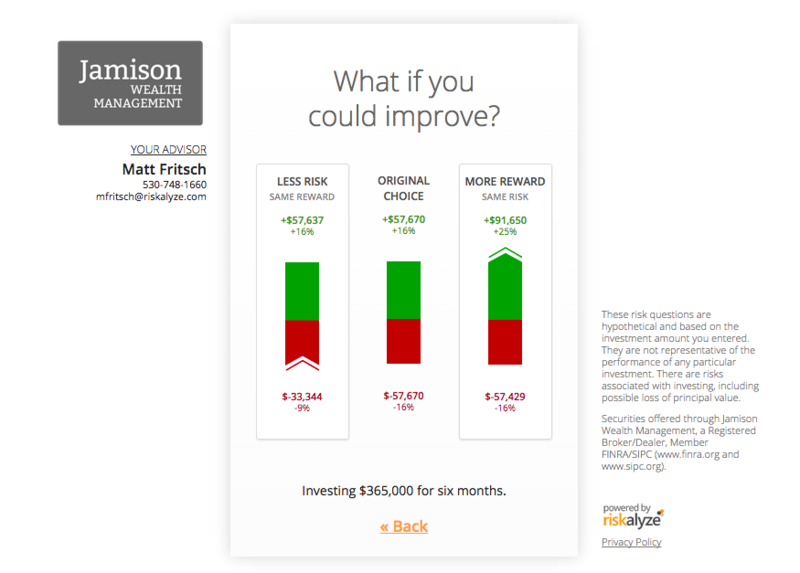 From the first time an advisor used the Risk Number to help a client understand the comparison between how they’re invested today and how they want to be invested tomorrow, we’ve had advisors asking the question: is there an alternative to using a risk questionnaire to establish how much risk the client wants? There are a variety of reasons why. Some advisors just don’t want the client experience to feel like “homework” and prefer discussing the Risk Number of the client’s portfolio to establish how much risk they want. Others work with an institution that mandates a particular risk questionnaire and they don’t want to use two. Still more use Risk Questionnaires in some circumstances but prefer not to in others. 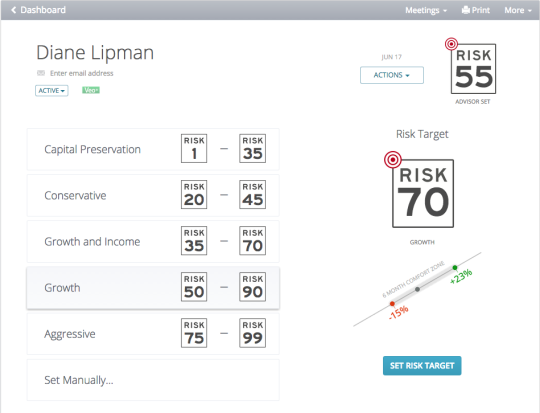 For all of those advisors, we’re excited today to announce the launch of Risk Targets. Now, when it’s time to set a client’s Risk Number, you have two easy choices — set a Risk Target, or use a questionnaire. When you set a Risk Target, you’ll see a set of preset ranges, or you can click Set Manually and pick the exact Risk Number you prefer. When you set a Risk Target, you’ll see a red target icon on the upper left of the Risk Number, to signal that it’s a target. Of course, you can still use the Risk Questionnaire that you know and love, whenever you find it appropriate. The simple and detailed questionnaires have had some nice design upgrades as well with this new release. In particular, the updated simple questionnaire features a redesigned set of questions that takes its accuracy levels to the next level, while still only requiring four easy questions. Risk Targets and the design enhancements to risk questionnaires are a free upgrade for every Riskalyze customer, and will begin rolling out to all of our customers starting next Tuesday. To see Risk Targets and the updated risk questionnaires in action, join an upcoming guided tour. We look forward to your feedback.